Beauty Bliss Cosmetics: Is Your Skin Sensitive To Mica? Try Our Mica-Free Foundations! Is Your Skin Sensitive To Mica? Try Our Mica-Free Foundations! I just wanted to say I love your mica-free foundation! It looks lovely on, with just the right amount of coverage, and surprisingly, it doesn't dry my sensitive and prone-to-dryness skin. If anything, it seems to soothe my skin and make it glow. It also has very good staying power. Toffee is the perfect match for my skintone, and I've never in my life found something that matched so well, so that's saying a lot! 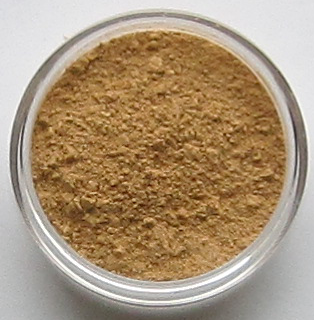 I wonder if you would consider creating a mica-free blush? (I did try a sample of your blush with serecite, but sadly, my skin couldn't take it and reacted immediately.) Anyway, I'm sure there are others like me who would probably love it! Thank you for your kind words, Macoe! I am so glad our mica-free foundation makes your skin happy. I definitely am working on some mica-free blush and I'd love to hear from anyone else that is looking for this product. Mica-Free Foundation In Toffee Might Be Your Perfect Match Too!